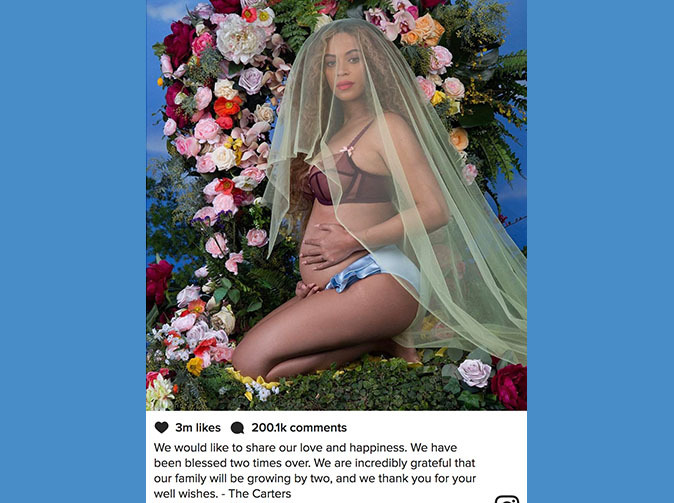 Beyonce has confirmed she is pregnant again and she and her husband Jay Z are expecting twins.She made the announcement on Instagram. Alongside a dramatic shot, Beyonce said: 'We would like to share our love and happiness. We have been blessed two times over. The singer is already mum to five-year-old daughter Blue Ivy who was born in 2012. In 2013 she spoke about wanting to give Blue a little brother or sister.